On early March, the photos of actor Kim Soo Hyun was holding the reflector to assist the shooting were published on Internet. 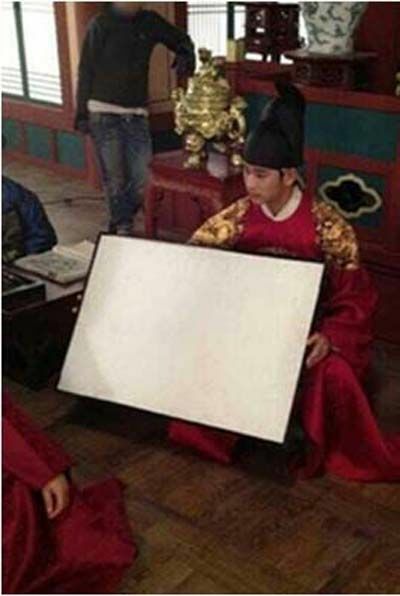 In the photos, Kim Soo Hyun wearing the king’s imperial robe, hand held the reflector, assisting in the filming of MBC TV Wednesday and Thursday drama series The Moon that Embraces the Sun. Usually actors will sit at the back to rest, read script or memorize lines when other people is filming. 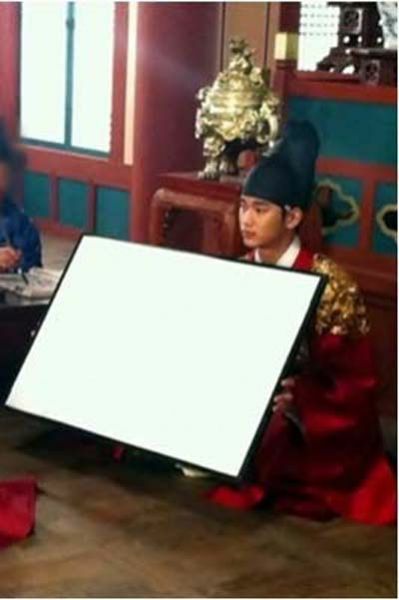 However, despite his busy filming schedule, Kim Soo Hyun was still holding the reflector to help others’ shooting, creating a warm atmosphere on the set. Netizens commented on the photos, "Really good-natured, perfect," "Confirm the Kim Soo Hyun's little face," "Atmosphere on the shooting set seems good" and so on.